See an overview of each type of entry below. You should enter a photo of yourself in one of these three roles as described at the end of the article. 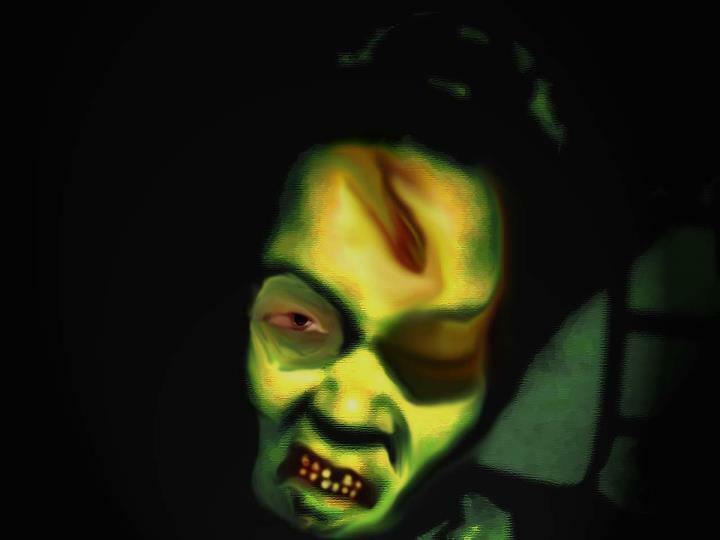 Post a photo of yourself dressed up as The Afflicted (Ghoul), The Dead (Zombie), or The Food (Human) on Sumiko Saulon’s Facebook Author Page here: https://www.facebook.com/authorsumikosaulson – you will need to have a Facebook account to do this, so if you don’t have one, create one. I’m pretty sure you will need to “like” the author page to upload the photo (guess what? You don’t have to like the page. I just found out). When you upload it, write “CONTEST ENTRY:” with the kind of creature you are afterwards. For example: “CONTEST ENTRY: Ghoul”. It can be a drawing, a photo, anything as long as it is original artwork. Get as many people as possible to “like” your photo on the Author page, because the one with the most likes wins. In the event of a tie, we will have a Run Off between the winning entries. The Unpretentious Ghoul accepts the fact that he/she is a ghoul, you may consider that he or she is a traditionalist. Most of your unpretentious ghouls still bear the scars of the zombie attack that cause the original transformation. They know that as ghouls, they do not require fresh human flesh or blood, and can survive on the flesh of the dead. The unpretentious ghoul may eat rotting corpses, human flesh jerky, and other substances that the pretentious ghoul would find gross and disgusting. 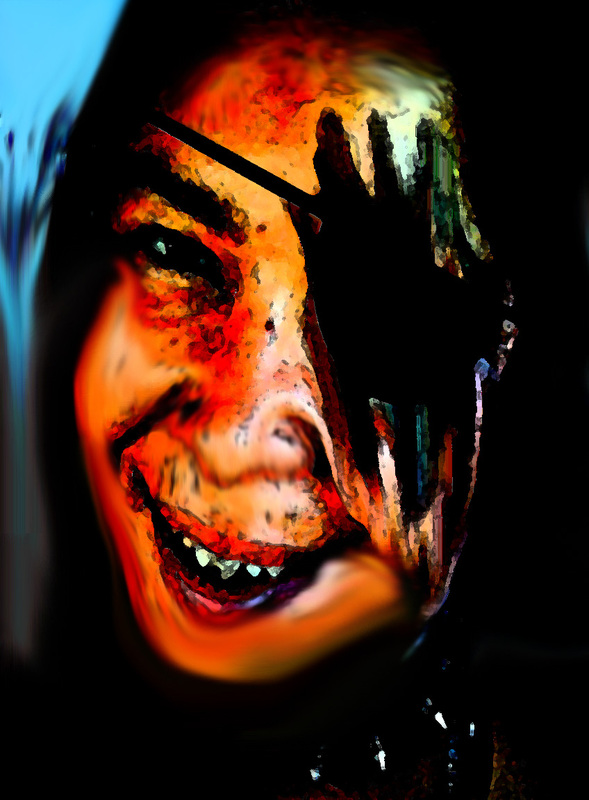 Unpretentious ghoul heroine Sera had her teeth sharpened like shark teeth by the Mayan’s to make flesh eating easier. She is a ghoul hunter who hates the Dead. Ghouls are not immortal, but age very slowly. Sera is pissed off because in her case, this has lead to a 600 year long pregnancy. Some of the Afflicted are more pretentious than others. Pretentious ghouls, like Lizbet, like to pretend they are vampires, because vampires are just a lot more glamorous seeming than sweaty, rotten-flesh consuming, sickly long-lived mortal ghouls. Of course putting on such pretentious means investing a lot of money in plastic surgery to cover up nasty zombie bite wounds, and dental work to install fangs sharp enough to inflict a bloodletting bite. That kind of vanity keeps Sera’s old friend and former lover Fadrique, Plastic Surgeon to the Stars (and more secretly, to the Afflicted) constantly in the money. In order to disassociate themselves from their ghoulish origin, the pretentious also drink the blood (and at times, eat the flesh) of the living, considering eating dead people as “low”. The Afflicted are never able to make new Afflicted through bite wounds: after all, they aren’t vampires. Only Stage 2 Afflicted, or Zombies, can make new Afflicted. The Dead are always hungry. The Dead are Zombies. The final stage in the life cycle of a Ghoul is as a member of the Resurrected Dead. When a ghoul dies – whether it is after a long period of extended life as The Afflicted, or immediately, following a fatal zombie bite that the parasitical combo causing Ghoulism is unable to heal, he or she resurrects as a hungry corpse whose only goal in unlife is to perpetuate the species: the symbio-parastical species, that is, of strange gut flora living in the host systems of the Afflicted Stage A (Ghoul) and Stage B (Zombie). Zombie slayer Sera hates the Dead – they are always hungry and have no self-control. If the planet becomes infested with them, the whole Ghoul-Human part of the ecosystem would go to hell, leading to the end of all mankind. And all ghoulkind – they’d starve. No ghoul in its right mind wants that. The Food is Human: Ghouls and Zombies have a lot in common with people: the thing is, they are people. It all starts with a bite: the first step in the Human-Ghoul-Zombie cycle is the part where the Zombie bites the human and infects it: so the human because the Afflicted (part A or B). Some humans become food because they are bitten while still alive: either unwillingly, though a hostile attack, or because they are masochistic vampire groupies who haven’t discovered (yet) that the Afflicted Ghoul is incapable of granting eternal, or even extended, life. Some human beings are eaten after death, in various states of decomposition or even after cooking and other methods of preparation. THE DEADLINE: This contest will be accepting entries until June 1st, 2011. Remember: the sooner you enter, the longer you have to ask people to “like” your picture. 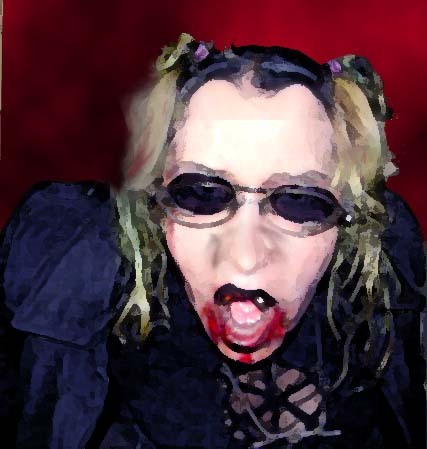 Yes, you can use an old photo of you dressed as a zombie, a ghoul, or a ghoul we presume is pretending to be a vampire because in Warmth, vampires don’t bleeping exist, an old photo of you with an apparent zombie bite, or whatever works for you. ~ by Sumiko Saulson on April 28, 2012. 1.Ghouls: are evil spirits or sometimes undead that haunt graveyards and cemeteries and prey on human flesh mostly on corpses. They are gaunt in face, have long arms, sinewy legs, long sharp fingernails, coarse grey hair, razor-like teeths. Recent depictions have made them animalistic in behavior and corpse-like in aspects. 2.Zombies: corpse brought back to life by necromancy or sorcery by an necromancer. I’ve already done it. The contest was six months ago. I wrote the book a year ago. It was in fact a dark comedy. Your very serious views regarding a singular appropriate definition of ghouls and zombies make me suspect however, you would not appreciate it’s humor. So have a nice day. Also.. thanks for your comment. It’s always nice to know someone is reading. In “Warmth” the so-called ghouls are infected with what essentially amounts to an ancient gut flora – this complex fungi and pre-bacterial intestinal ecosystem creates a life cycle in the infected where they have extended life, but they need human flesh to survive. If they die, they are reanimated. The word “zombie” rarely appears in the book since this is actually just a part of the life-cycle of the host creature (who we are calling a ghoul here). Technically, they are not ghouls – in the same way as the so-called vampires in the book “I am Legend” are not vampires but infected humans.